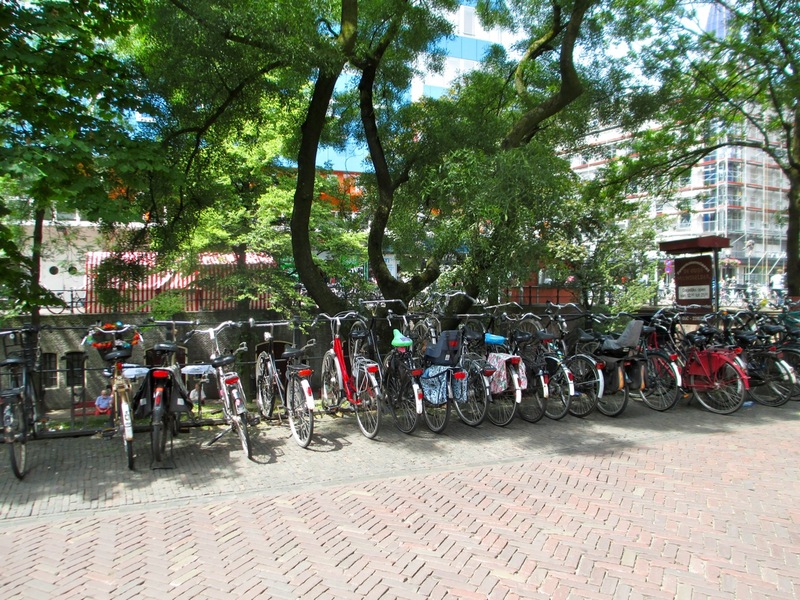 The Dutch are completely bonkers about bicycles. You’ll look like a tourist if you don’t immediately rent one and go tearing through about town on the elaborately-designed bike lanes and street margins. Of course, you’ll still look like a tourist, but it’s a start. Two other things they have in abundance are decent train service and loads of historical and/or scenic things to see (on top of the general cool, I’m-in-Europe ambiance). Accordingly, I combined all of the above for a little pre-conference constitutional jaunt to reset the old biological clock and see some of the countryside. 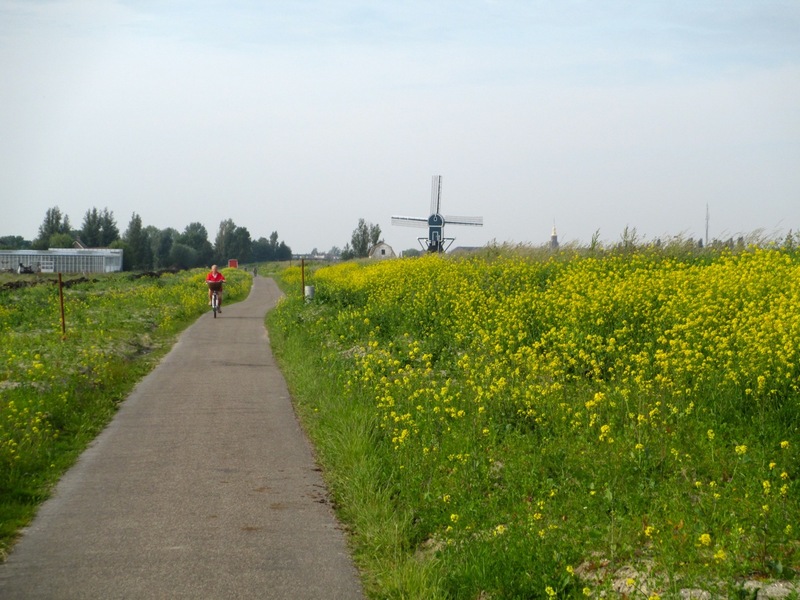 The plan was simple: ride east from Leiden along the Oude Rijn (Old Rhine) to the historic city of Utrecht, see the sights, and then take the train back. On the map, it’s 56 km, a healthy several-hour ride on my regular set of wheels and a serious adventure on the usual Dutch cruiser but it’s flat and downwind. In reality, by the time I got done with my various side-trips (intentional and otherwise), it was closer to 80 km. There was a particular side trip I took through some polders in the first third of the trip before reaching Alphen an der Rijn. 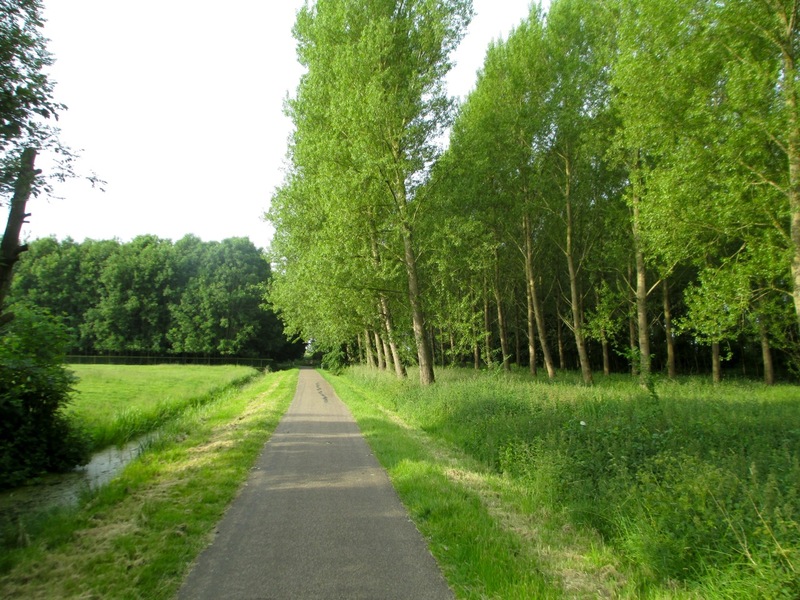 Then I ended up in Boskoop instead of Bodegraven (turns out the Rijn splits here and both of them have major bike paths along the right bank). 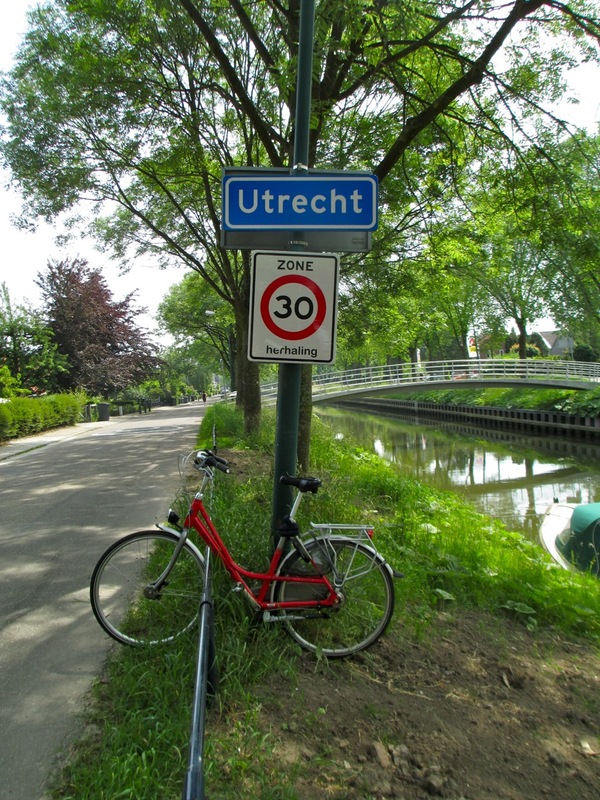 Then I couldn’t figure out how to get out of Woerden and onto the final leg to Utrecht. Finally, I went five kilometers out of my way along the wrong side of the Amsterdam-Rijnkanaal trying to get into Utrecht. Back on the Oude Rijn somewhere east of Bodegraven. Not that I’m complaining; it was a glorious jaunt. 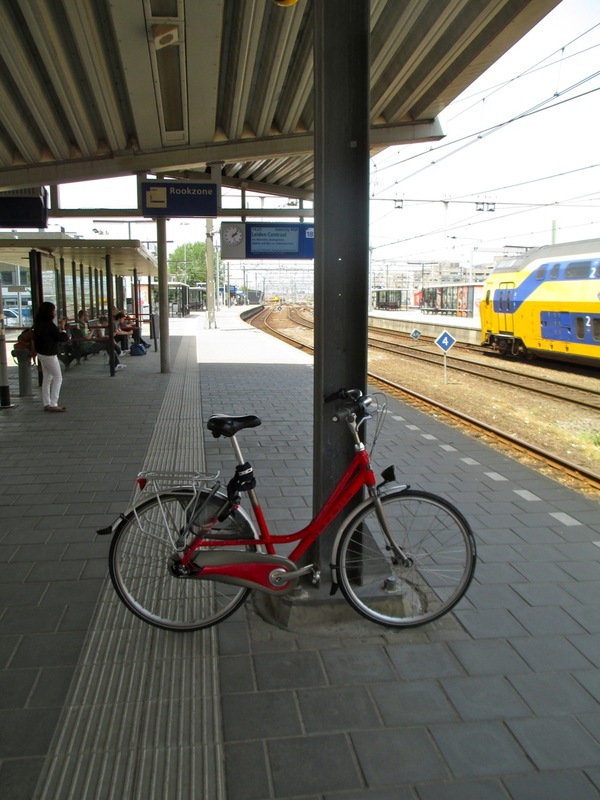 My bike, a Gazelle Pure Paris rented from a shop at the Leiden train station, was pretty high-end by Dutch standards with both hand brakes and three speeds. It was a beast but it worked very well. The scenery was great and it only got really hot in the last third of the five-hour ride. 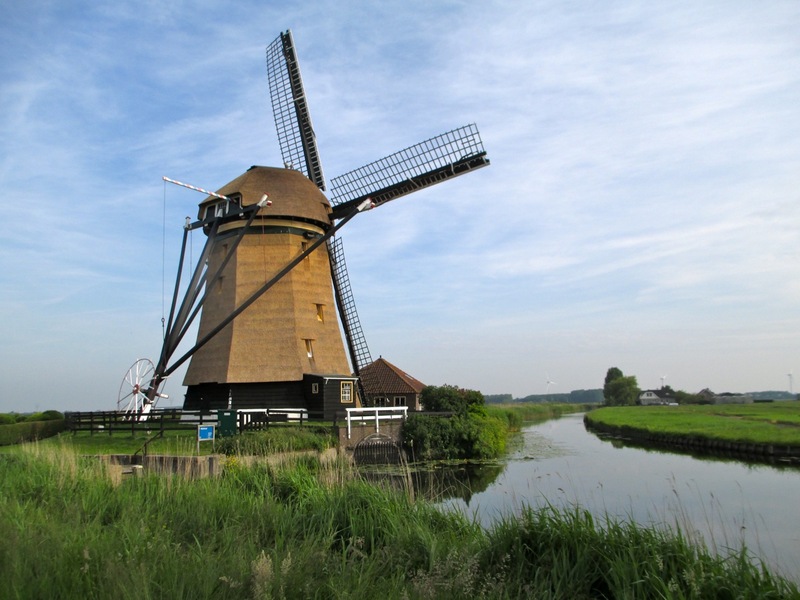 There were a plethora of windmills, polders, boats of all descriptions, bridges, flowers, and more. Best of all, I got to see a whole lot of non-tourist, “real” Netherlands that isn’t always present in the more touristy cities. How do you say “BOO YAH!” in Dutch? 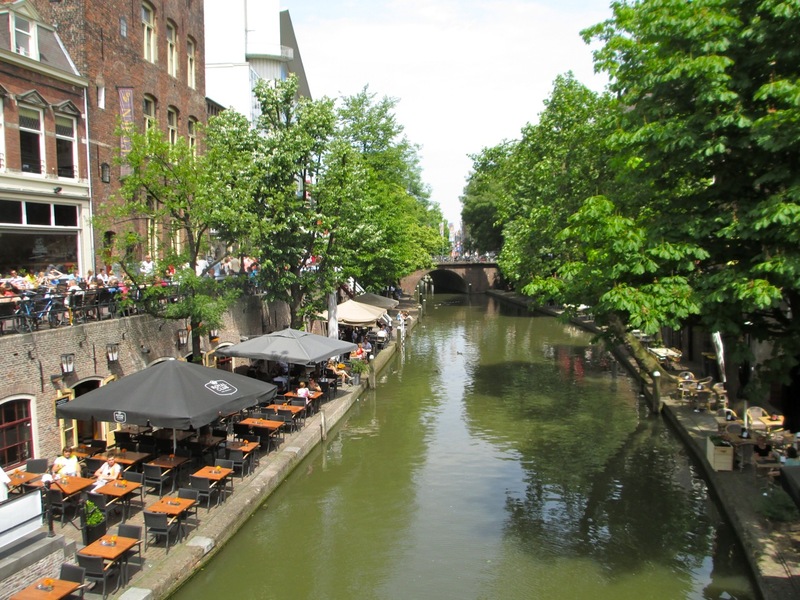 By the time I got into Utrecht, I was so hot and tired, I almost didn’t care anymore. But I rallied and spent an hour touring around the historic old city. 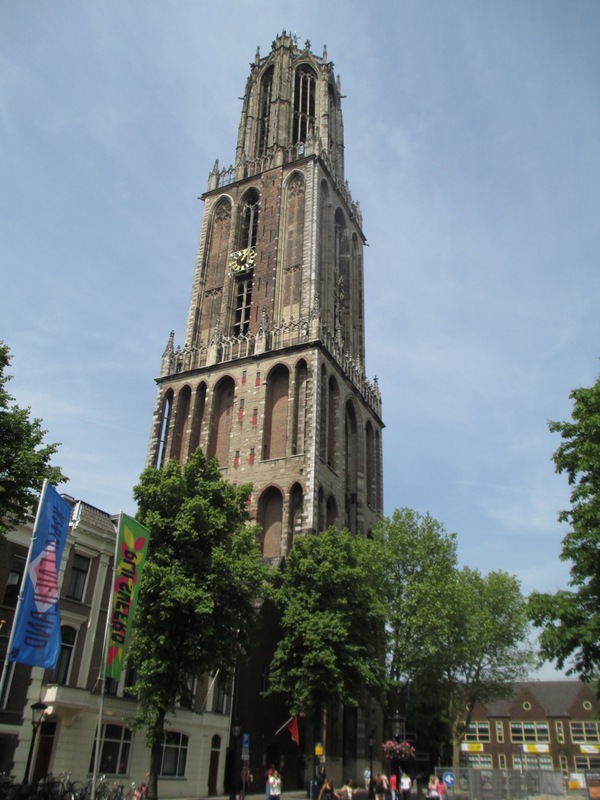 The Domtoren is very impressive and the canals are somehow more Parisian-feeling than Leiden, Haarlem, or Amsterdam (the other Dutch cities I’ve spent significant time in). Taking the train back turned out to be very easy (once I found the ticket office) and the adventure was a success. 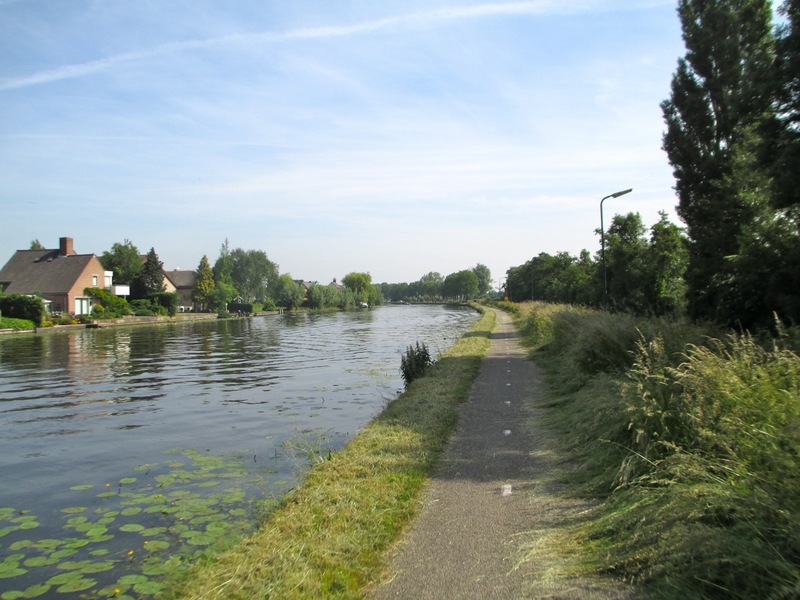 This entry was posted in abroad, biking, exploration and tagged alphen an der rijn, bike, bodegraven, boskoop, leiden, oude rijn, utrecht, woerden. Bookmark the permalink.